New and unsaturated ways to build links are always welcomed with a smiling face in the link building world. At a time where large scale guest posting and infographic embedding campaigns have become pretty mainstream, you can leverage a heavily under-utilized way to earn high-quality, editorially given links to your site. By publishing expert interviews on your site, you can not only leverage the existing following of reputable people in your industry, but also satisfy readers with useful and unique questions and answers. This satisfaction will effectively have a great chance of converting into backlinks and social shares. 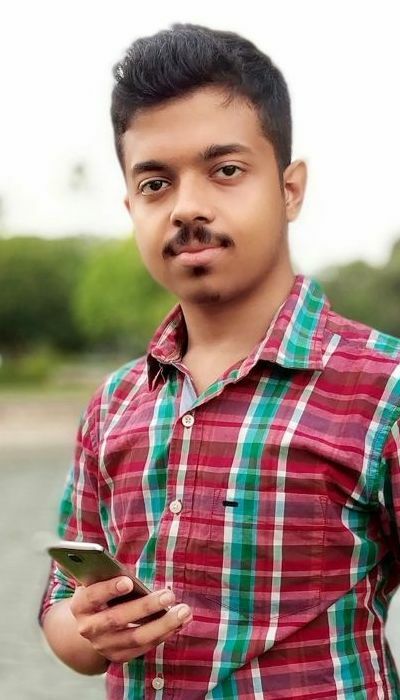 If you talk about the Internet Marketing industry, there are people like Neil Patel, Jason Acidre and Brian Dean who hardly refuse an interview. Given their expertise in their field, if the questions are good enough, readers would definitely get to know about tons and tons of new, fascinating things they wouldn’t have known if they just read a lot of normal blog posts or saw videos related to the subject. Practical experience is something books can never get you, neither can those of my blog posts that deal with more theory (based on my own experiences) than actionable tips. Interviews are a great way to share valuable and helpful practical knowledge with your target audience. You can start with a query like: industry “interview with” or a similar one. posted on a high-authority sites, thus getting ranked highly in search engines naturally. These interviews should be decent as well, because if a high-authority site published low-quality crappy interviews, it wouldn’t be regarded as a high-authority site anymore. Makes sense? extremely popular, although not posted on a super high-authority site in the first place. These tend to get viral, or semi-viral if you prefer that, and gain links on their own merits and finally secure good rankings in search engines. Again, if something wasn’t high-quality, it wouldn’t go viral and be linked to from many other sites in the first place. The reason why I prefer to manually go through the SERPs to find knowledgeable people to interview is that there exists no tool that can do the job as good as a human. Sure, if you don’t care about the quality of the interviews, fire up ScrapeBox, scrape tons of interview pages and people’s emails, and then send them all a generic invitation email boasting a nearly non-existent conversion rate. The email is personalized. This is very important, and shows that you already know about the person you’re approaching for an interview. Many people, including me, hit the trash button (in most cases) as soon as they see an email begin with “Hi,” or “Hello,”, without any signs of personalization, just generic blocks of text throughout the body. The email is concise and doesn’t go on and on about a specific thing. The subject and the primary message of the email is clear and easy to understand. 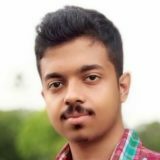 You talk about your site in short in the email, preferably with some stats to back your claims, and highlight its achievements so far or good points about it. If you have conducted similar interviews on the site in past, you can include links to a few example ones in the email, so that they can get a basic idea of exactly what the interview is going to be like. Though I like in-depth interviews, I don’t generally like the ones featuring too many questions. I feel that too many questions don’t really help the readers focus on a particular point. Whereas, answers that are detailed and are written in an explaining tone tend to be loved more by people. How much time they’ll be able to dedicate for the interview approximately. In case of text interviews, this is often the limiting factor behind how far can the person who’s giving the interview can take things. What kind of questions would they prefer. If you have a particular type of questions or a few types of questions in mind which you think might be new or interesting to the readers, ask them in advance if they’ll be comfortable answering those kinds of questions. Before interviewing someone, try to read atleast 3-5 of their previous interviews so that you don’t ask them the questions someone else has already done. For example, if I someday interview Brian Dean, I will probably ask him questions regarding advanced SEO and link building, but I’ll never ask something sensitive, like asking which particular site is his highest performing affiliate site at the moment, or something silly like that. Also, you could do something innovative like a crowd-sourced video interview in the form of a Google+ Hangout on Air. Of course, you have to let your readers and other interested people know about the date and time of the live interview in advance. Like always, ask the person you’re interviewing in advance whether he/she would be comfortable with such an open interview. This is why the Q&A portion requires a bit of creativity from the sides of both you and the person you’re interviewing. If you don’t think you’re creative enough to ask someone for an interview, don’t do it. It doesn’t have to be the case that everyone shifts focus from infographic link building to expert interview link building. Well, if you’re interviewing an already well-known person in your field, chances are your interview, irrespective of being good or bad, will produce some initial reactions, both negative and positive, with the ratio being dependent on the quality of the interview. Generally people share their interviews on their social media accounts at the very least, if not their personal blogs and websites. So, that by itself should drive a fair amount of traffic to the interview page depending on how popular the person is. You can pretty much perform all the basic social media sharing tasks — posting, tweeting, sharing, whatever — as soon as the post or video is live. I don’t think more traditional forms of PPC promotion like Google AdWords works well when your primary intent with what you’re promoting is something other than making money. If your content is genuinely good, chances are, with time it’ll attract more and more quality traffic so you don’t have to worry about sharing it twice a day in social media manually, because happy readers will take care about sharing. High-quality content does generate high-quality links on its own, but not as many as you’d hope. So, you do have to engage in some link prospecting, some link suggesting, some manual exposure increasing campaigns. Email sites with proven track records of sharing interviews on the subject, asking them to check it out (because link to it! sounds rude?). Ask the readers at the end of the post / video to share it socially, and on their own sites. Social shares count too, because they have the potential to grab the attention of someone else and attract a real link. If it’s a video, make it clear at the end of the video how viewers can embed the video elsewhere. Leverage your relationships with fellow industry people to gain mentions, shares and links. 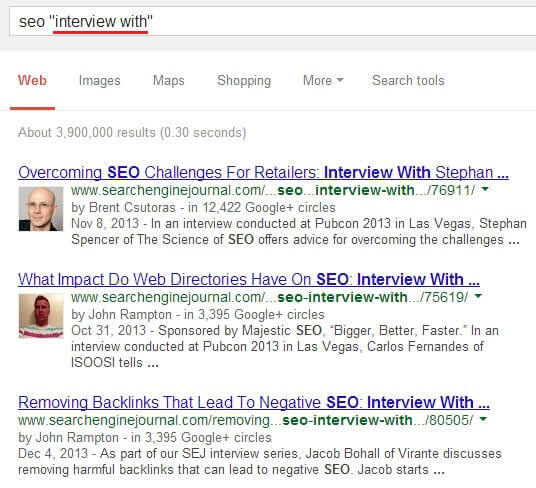 Overall, expert interviews can be a great way to acquire high-quality organic links. If you feel that you’re creative enough to leverage this, not only you’ll satisfy your readers, but you’ll also attract editorially given links that an infographic marketing campaign or a broken link building campaign might not be able to get you. 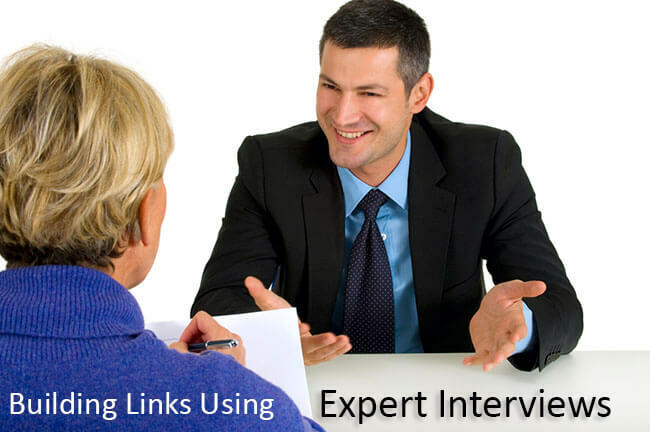 So, what other ways do you recommend for acquiring inbound links using interviews?